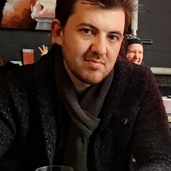 About me Erik @ Agency is an analyst and entrepreneur based out of Canada, with a fundamental and technical background in financial markets, institutions, distributed technologies, and politics. Confirmation: 5127.20 Invalidation: 5320.74 Type of Trade: Countercyclical (EMA50 above EMA200) Target: 4583.3 TF: 1HR Leverage: Max Pattern: 1) Bullish flag breakout failure, 2) daily resistance, and 3) weekly resistance. Confirmation: 291.80 (early) / 145.80 (late) Invalidation: Local high Type of Trade: Cyclical (EMA50 below EMA200) Target: 70.3 TF: Daily Leverage: 3.3x Pattern: 1) bearish flag pattern with 2) EMA200 resistance, and 3) strong 1/4 Gann resistance. Confirmation: 84.28 (early) / 53.37 (late) Invalidation: Local high Type of Trade: Counter-cyclical (post-golden cross) Target: 24.55 TF: Daily Leverage: 1.5x Pattern: 1) rising wedge reversal pattern with 2) golden-cross trap, 3) untested 1/4 Gann. Confirmation: 55.53 Invalidation: 52.87 Type of Trade: Cyclical Pattern: Bullish Flag How to interpret this data? For longs: Altcoins (i.e., ethereum, litecoin, bitcoin cash, etc.) likely to underperform Bitcoin. Altcoin traders are likely to convert holdings to Bitcoin. For shorts: Altcoins shorts likely to outperform Bitcoin shorts. Confirmation: 168.86 (early) / 130.01 (late) Invalidation: Local high Type of Trade: Cyclical (EMA50 below EMA200) Target: 55.46 TF: Daily Leverage: 3x Pattern: 1) bearish pattern with 2) previous bearish impulse wave, 3) EMA200 resistance, 4) limited 3/1 Gann, and 5) strong 1/4 Gann resistance. Confirmation: 5235.47 (early) / 3843.60 (late) Invalidation: Local high Type of Trade: Cyclical (EMA50 below EMA200) Target: 1991.97 TF: Daily Leverage: 3x Pattern: 1) bearish flag with 2) previous bearish impulse wave, 3) EMA50 below EMA200, and 4) untested 3/1 Gann. nVidia [REVISED] | Shorting the Bubble Part 2? Confirmation: 58.10 Invalidation: 64.37 Target: 43.09 TF: 4HR Leverage: 2x Pattern: 1) daily rising wedge reversal with 2) weekly EMA50 resistance, 3) untested weekly EMA200 support, and 4) weekly falling wedge pattern. nVidia | Shorting the Bubble Part 2? LTCUSD [REVISED] - 50% Cyclical Short Trade? Capitulation?! BCHUSD - 50% Cyclical Short Trade?